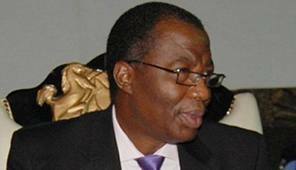 Former Governor of Ogun State, Otunba Gbenga Daniel, has quit partisan politics. 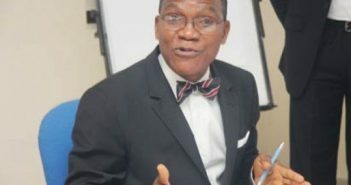 Daniel was a chieftain of the Peoples Democratic Party (PDP) and a member of the Atiku Abubakar campaign Organisation during the just concluded Presidential election in Nigeria. The former Governor announced this in a letter he sent to National Chairman of PDP, Uche Secondus. “We rose from that rally to create a highly robust and effective political campaign machinery which resulted in an electoral victory for the Peoples Democratic Party in Ogun in 2003. “This movement and vibration affected the politics of the region positively with a victory in five states of the South-West region. “Our situation was then compounded because the candidate which the court and INEC recognised and accepted as valid had earlier been expelled by the party. “Going forward, we have responded to the yearnings of our people and joined others in emplacing an administration that we believe will better serve the interests of our people than what currently exists. “Many stakeholders within and outside Ogun feel fulfilled, excited and grateful about our decision to join others in putting a stop to a regime that was believed to be against the collective and general welfare of our people. “The first being during my campaigns to become the National Chairman of our great party, and later as the Director General of the Atiku Presidential Campaign Organization (APCO). “This organisation will literally continue to dispense succor to our people in need, address and assist in the areas of some of their health challenges.